Bespoke contemporary office furniture in Sussex, Kent, London. 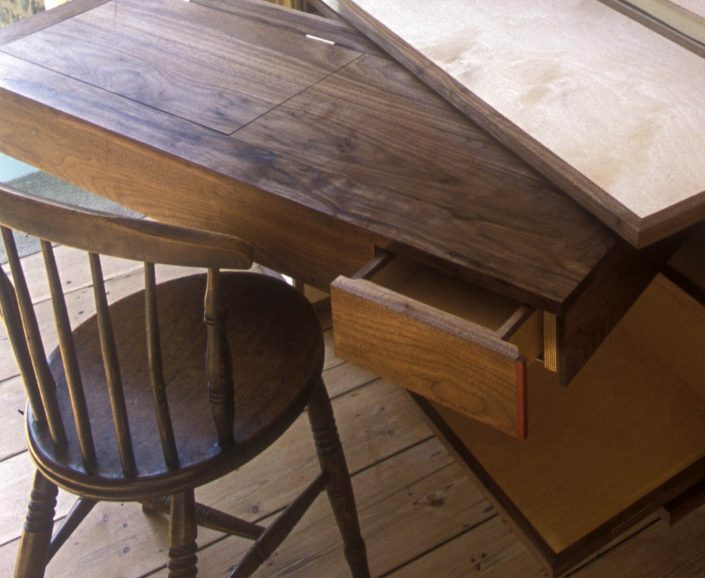 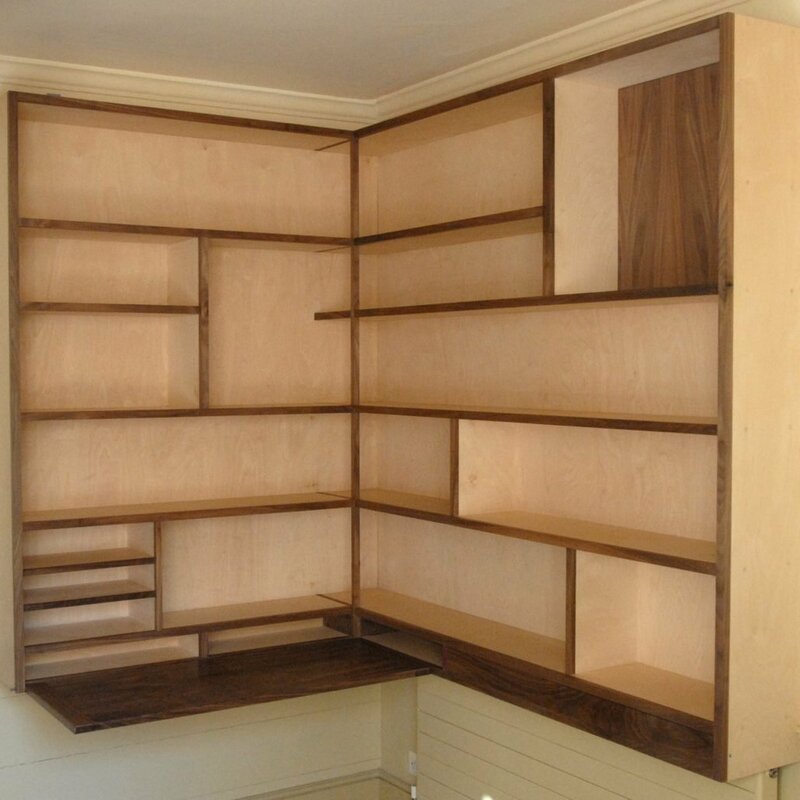 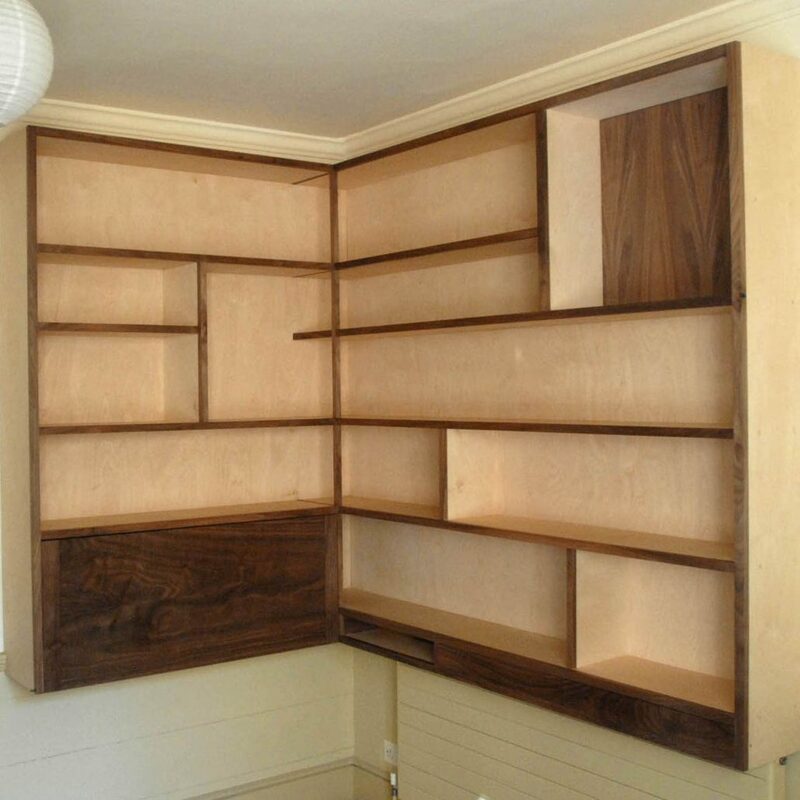 This home office furniture, built from black American walnut and premium grade birch ply, provides two workspaces in opposing corners of the room and is designed to fold away when not in use. 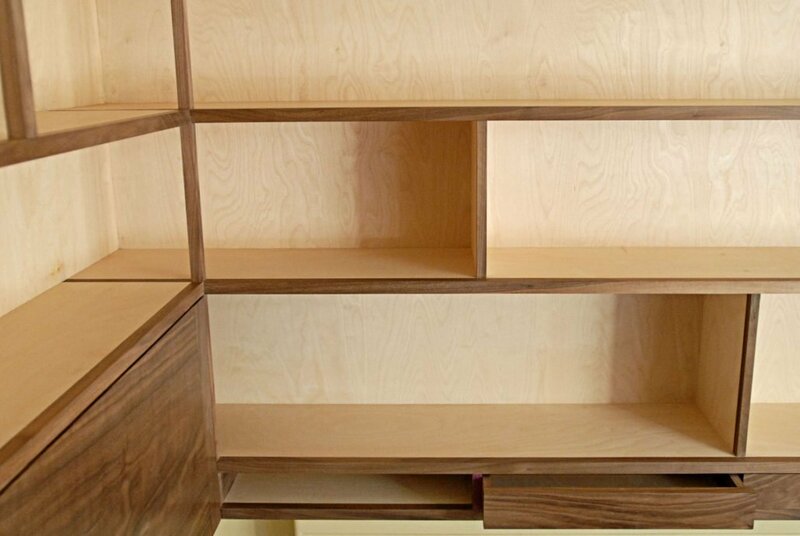 The main desk unit is fitted on a slide and turn mechanism and has a concealed recess to store the keyboard and cables when not in use. 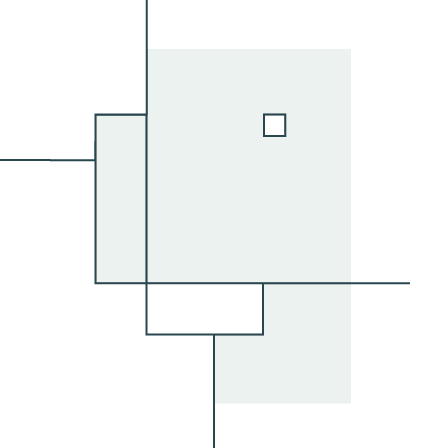 There is a matching enclosure for the computer, and pull-out printer tray below. 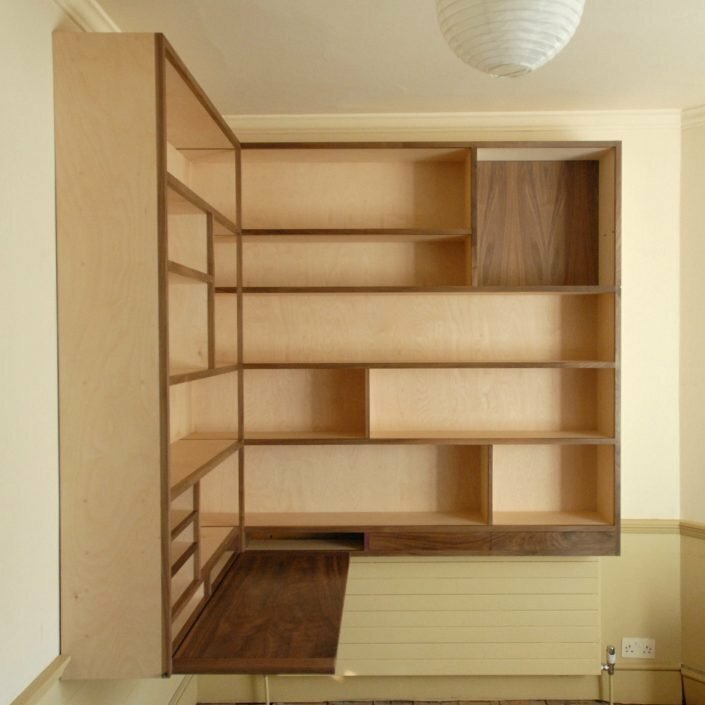 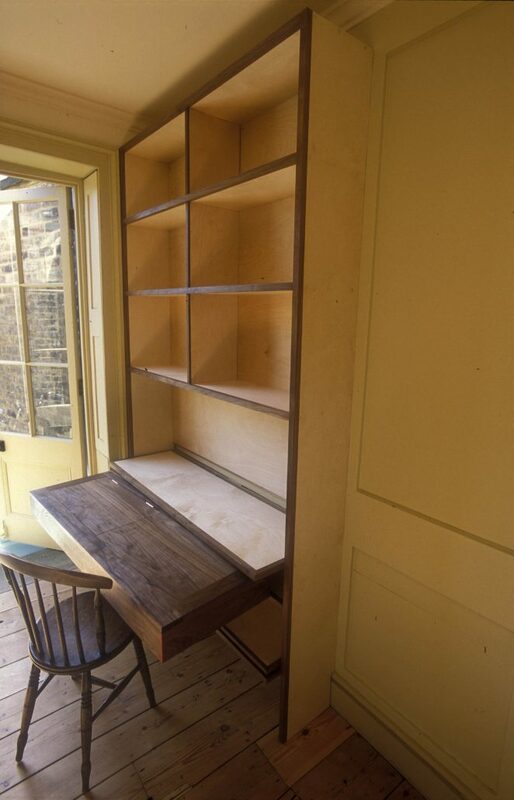 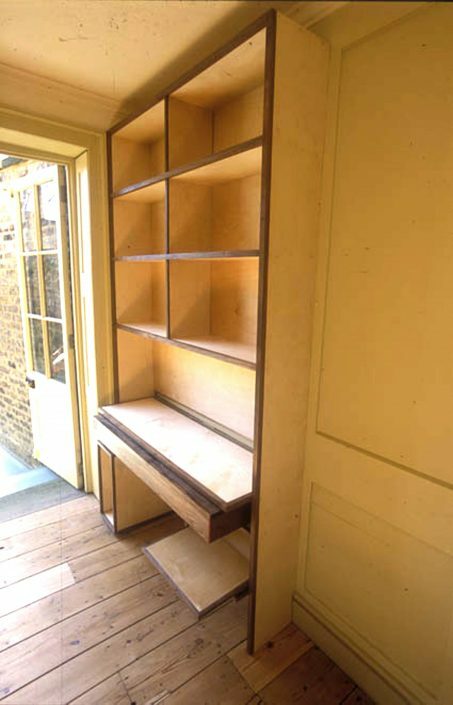 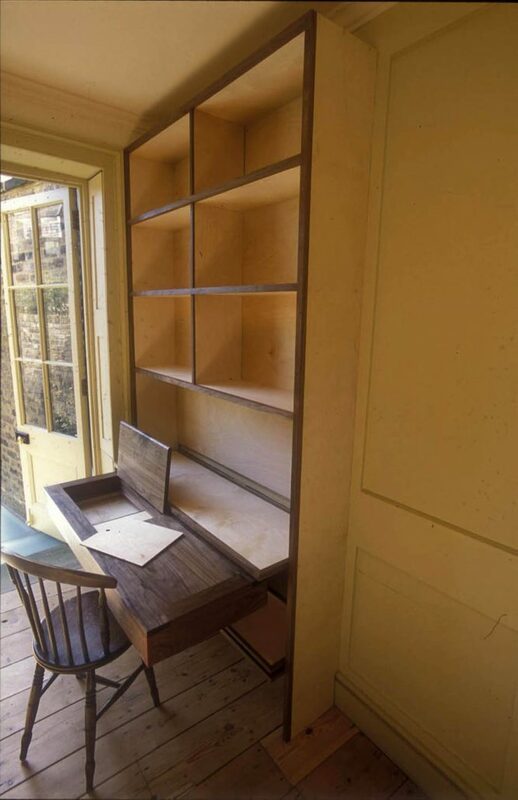 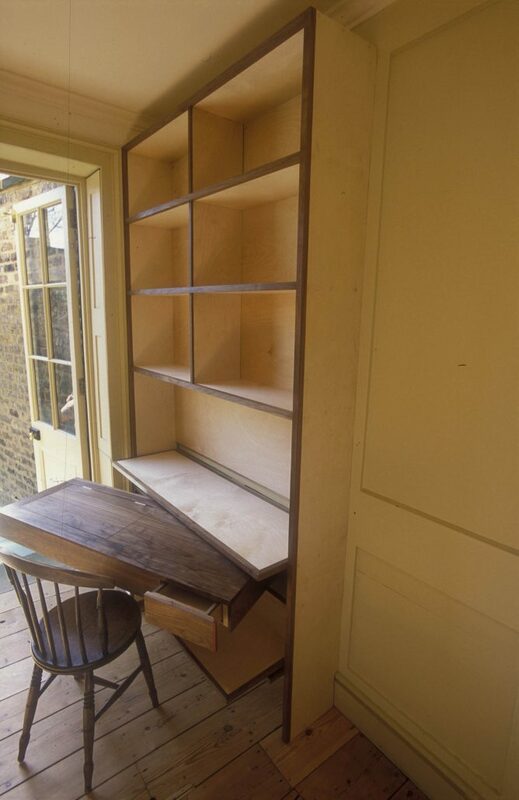 The corner shelving unit has a drop down desk that needs only a tiny concealed pin for support.